The church of Santa Maria was constructed in two distinct phases. The first of these saw the construction of the east end as well as the first section of the nave and the two chapels that join it. These newly built elements were added to the nave of a primitive church, probably Romanesque, that already occupied the spot. 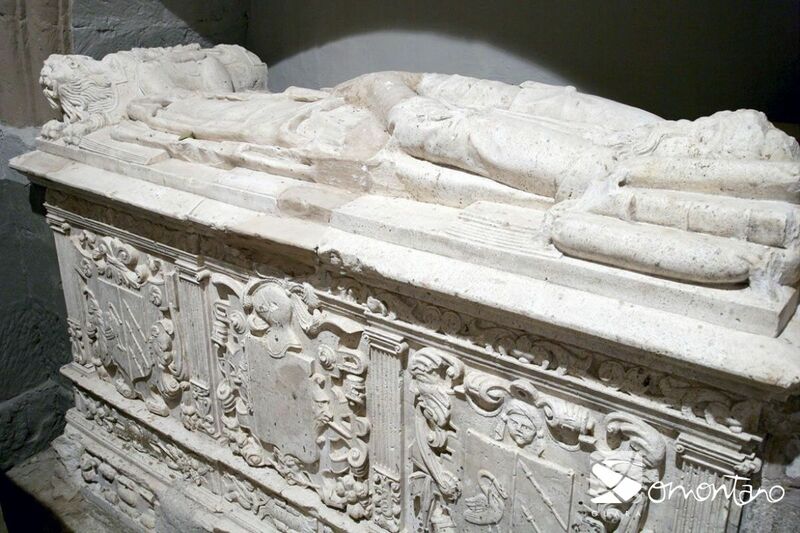 No further work was carried out until 1558, when the council of Castejón del Puente contracted two stonemasons from the Basque region of Gipuzkoa. They were charged with the demolition of what remained of the original Romanesque church and with the construction of a tower, three further sections for the nave and two new chapels. A requirement was that their work was in keeping with the style of existing elements. The homogeneity of the result was more important than flaunting the new trends that had arrived with the 16th century. 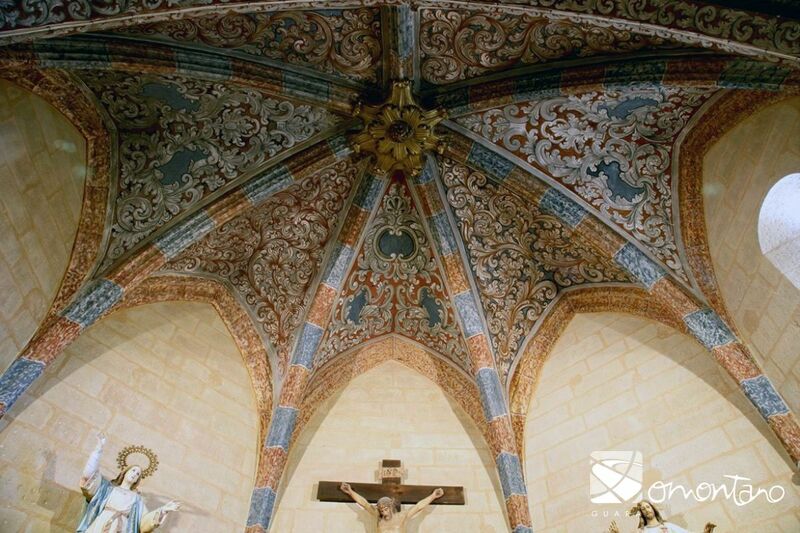 So, instead of covering the sections of the nave with the airy stellar vaults that were being constructed across the whole of Somontano around that time, simple rib vaults were used with wide and archaic ribs. The church’s exterior walls contain a number of marks left by the stone masons. Many had their own individual way of identifying their work with a symbol or notch, which was also useful at the time of earning a wage; a stone carved and marked meant a stone billed. 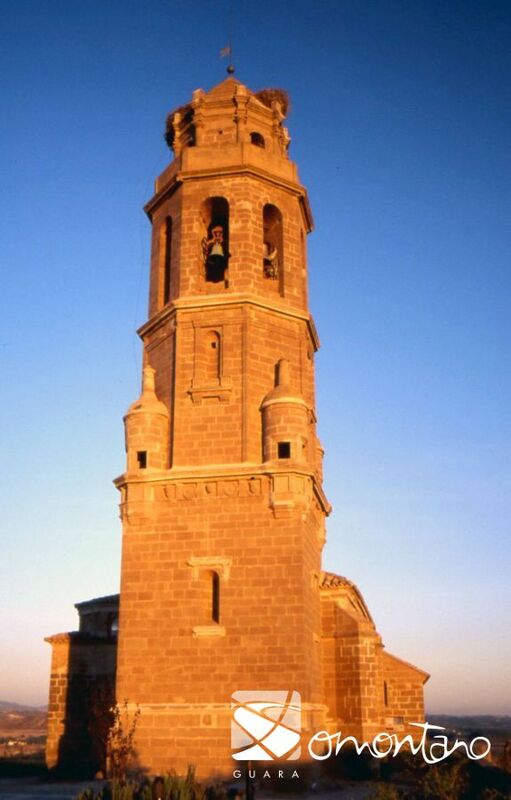 The bell tower is visible for miles around and is one of the prettiest in Somontano. The harmony of its proportions and its classic decorative style make it a building of reference from that era. 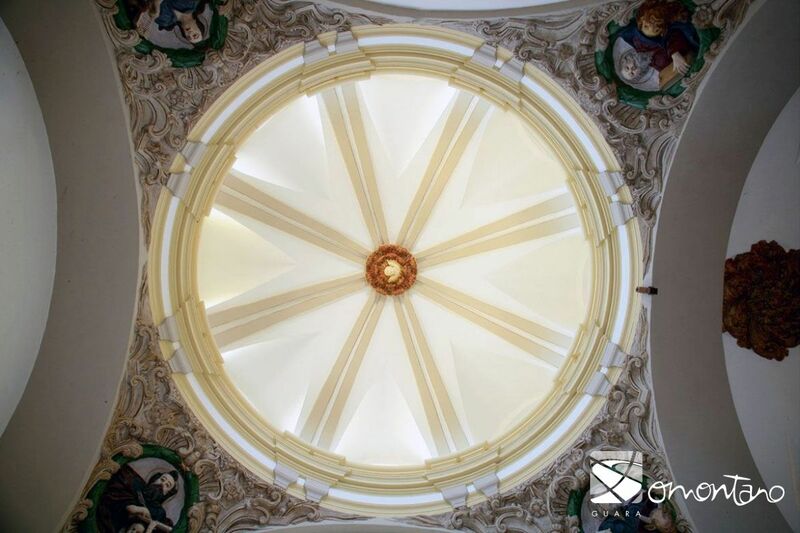 As a consequence of this fine work, the same Basque stone masons were contracted to construct a tower for the church of Ponzano on the understanding that is was as impressive as the one they had built on Castejón. Four small turrets were incorporated into the second section of the tower to face the four cardinal points. These were used to “conjure away” storms, which were the cause of real terror in the region. It was believed that they were provoked by witches and there is testimony from people who saw them fly on clouds as if directing hailstorms. It was even said that every hail stone contained a witch’s hair. There were a number of rituals used to fight off the storms, which were directed towards the four points of the compass. The church’s bells were also used during the process. On four sides of the octagonal section of the tower, just below the bells, there are vaulted niches, one of which shows the year of construction.